The Poetry Book Society is a poetry book club, delivering the best new poetry books straight to your door, alongside a poetry magazine, reviews and discounts. The PBS is based in Newcastle with Inpress Books. 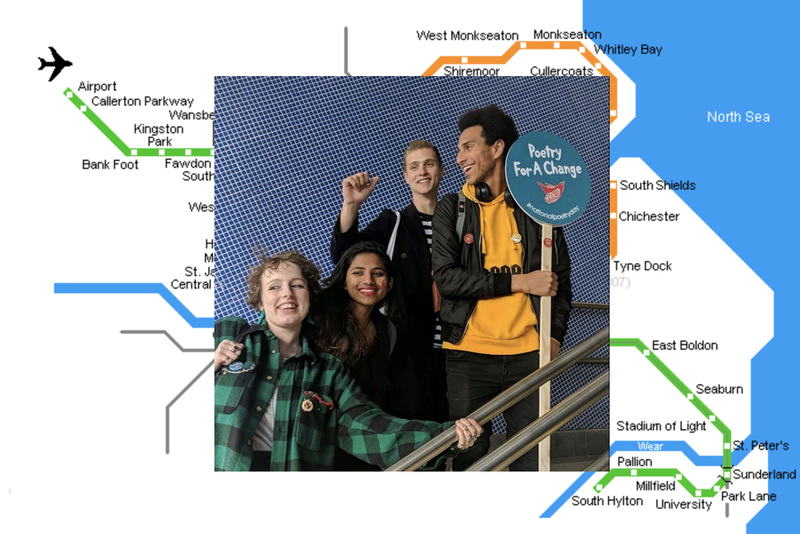 For National Poetry Day 2018, a team of Squad Writers from Durham University Poetry Society, led by Kym Deyn, took part in a Poetry Take Over on the Metro transport system, featuring pop up performances, a poet in residence and postcard give-aways. Joining Kym, a Squad8 grad, were recent Squad9 recruits Fahad Al-Amoudi and Prerana Kumar along with Charlie Spence from the university slam team and Poetry Soc treasurer Karishma Sangtani.